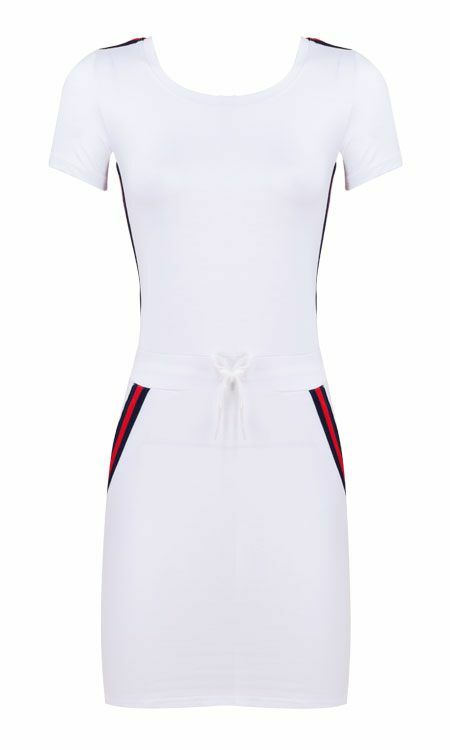 This sporty white dress has a comfortable fit. 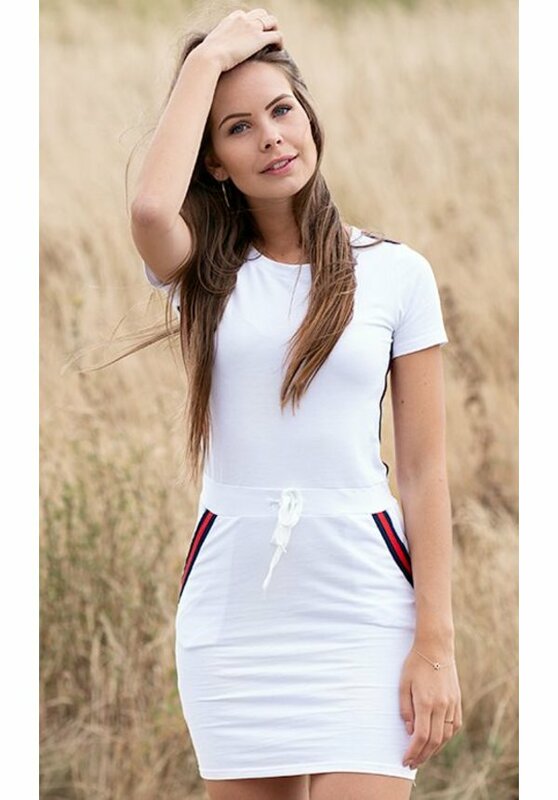 The sides of the dress are finished with stripes in the colors navy and red. Furthermore, the dress has two pockets and there is an adjustable cord at the hips.